20% of respondents, in that survey of 100 SME businesses, thought that it would actually be harder to get invoice finance than to get an overdraft! There is a great amount of misunderstanding here as invoice finance is freely available to businesses that would not qualify for an equivalent overdraft in many cases. More paperwork & boxes to tick - the amount of paperwork is probably not dissimilar and this does not detract from the key point that qualifying for invoice finance such as factoring and invoice discounting can be much easier than qualifying for an overdraft. The decision is based mainly on the quality of the sales ledger so poor financials and adverse credit history are not so important. There is more risk involved with invoice finance - no, the risk is less as the invoice finance company has greater control over the sales ledger of the business than a bank has with an overdraft. This reduces the risk - banks often move higher risk clients to invoice finance from overdraft as the risk controls are better. Invoice finance companies won't look at small companies - no, invoice finance is available to any size of business and some factoring companies do not have any minimum turnover criteria. We have completed deals for businesses that are tiny turning over just a few thousand a month. That there is more money involved with invoice finance - well that is often true but it does not make invoice finance harder to qualify for. 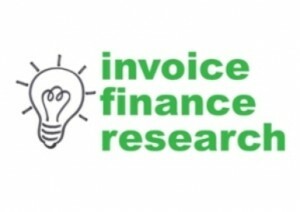 Invoice finance does tend to release more money than bank overdraft. See the answer to the next question for a comparative of the level of funding between overdraft and invoice finance. Everybody has an overdraft so it must be easier - again there is some truth in the observation that everyone has an overdraft - our previous research found that 88% of the businesses that we surveyed had an overdraft but once again it does not make it easier to qualify for one. Invoice finance is just not well known and not promoted widely enough. 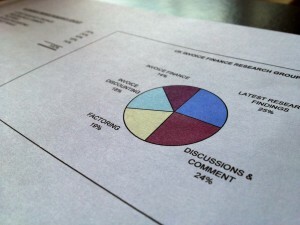 The article linked to above also referred to our research which showed that on average a business overdraft was equivalent to just 2.6% of debtor outstandings whereas according ABFA figures to June 2010, pure invoice finance advances against debt represented an average of over 42% of client's debtor outstandings. Higher volumes involved - again see the above answer which compares the volumes of funding involved. More hassle involved - I guess this might be fair comment to some extent, there is generally more involved with running invoice finance than overdraft but once again it doesn't make invoice finance harder to qualify for. Also, the benefits or that additional work can be huge e.g. if you are using a factoring company to undertake all your credit control for you - this is not the case with overdraft. Strict process - no stricter than any form of lending and finance. Its not offered to everyone like an overdraft - the types of business that are suited to invoice finance are narrower than the criteria for overdraft. However, this has broadened recently with invoice finance offerings covering sectors such as construction and retail. There is a lot more involved with the set up - again maybe that is true in some cases but it does not make the qualification for invoice finance harder. Overall, we have identified a large amount of misunderstanding about the criteria for invoice finance and our research has demonstrated that there are huge gaps in the understanding of SME businesses regarding the qualification criteria for invoice finance.